The Last Indian Village is all about people mingling and becoming one with the music, their cultures, and powerful experiences shared! It is a celebration of life and an idea created for people to lose themselves in the magic of music rather than the noise of the city. The concept behind LIV – Last Indian Village is to build experience centric music festivals that not only focus on giving you the experience of a lifetime but also concentrates on delivering state-of-the-art production with visuals! Our Vision at the Last Indian Village is to transform the very way you consume music at festivals, creating a revolution of our very own. 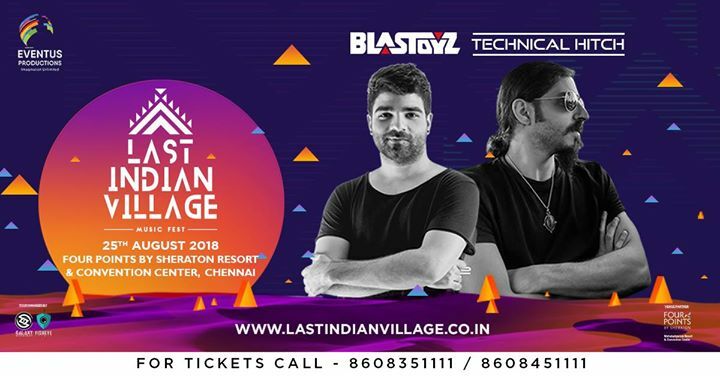 If you’re one with the music, have a lot of culture and magical experiences to share, then the Last Indian Village is the one Music Fest you just can’t afford to miss! Blastoyz (Aka Kobi Nigreker), is one of the leading artists in the psytrance scene over the past few years, he has been hitting the dance floor since the age of 16 and has created a unique style with an uplifting music production, which has further developed with his strong devotion to music. Year after year, Kobi continues to grow and further his reputation as an in-demand producer and charismatic DJ, loved by his fans. He is known for his hypnotic bassline style and melodies which has become his signature sound. Behind the name Blastoyz is Kobi Nigreker, born in Israel in 1990, began his musical journey from an early age, experimenting and creating music from the age of 9. Kobi was heavily influenced by the music his older brother produced in the family home. It was then that Kobi discovered his everlasting passion for psytrance and the creation of music. He has collaborated with major acts such as Skazi, Ranji, Bizarre Contact and Upgrade, and is known for his successful remixes for Astrix, Vini Vici, Coming soon, Loud, and many more - some of them reaching Beatport's top charts and gaining millions of views. Blastoyz has been playing all over the globe in every possible venue and country such as Tomorrowland, Dreamstate, Airbeat One, Parookaville, Burning Mountain and many other outdoor and indoor events in both commercial and underground scenes.